Is Your Relationship Nothing But Drama? Are you in a relationship that always seems dramatic and each of your negative energies is affecting the other person? This is a common problem and we have a fun way to diagnose and cure this issue. Does this sound familiar? Your guy comes home from work, and he’s had a bad day. He is pouting, quiet and moody. You ask him what he wants for dinner, and he replies, rather curtly, that he doesn’t care. You ask him what’s wrong, but he doesn’t want to talk to you about it. He just wants to be left alone. Now you feel hurt, and you get angry with him. He can starve for all you care. You just wanted to help! Do you need help in a situation like this and need someone to talk to; call a psychic now! Psychic Bridget ext. 5249 says that this is a common issue in 80-90% of relationships, and she spends a lot of time talking about it with her clients. So, why is it so common? According to Psychic Bridget, “Couples are often the perfect match of issues. One person’s issues bring out the issues in the other. And often, the issues are the opposite of one another.” Perhaps the man has abandonment issues because he was raised by a single parent, so he doesn’t rely on anyone but himself to handle stress. Maybe he goes for a run or plays video games. Perhaps the woman had an obsessive compulsive parent who needed everything to be perfect. Her guy isn’t perfect right now because he is stressed, so she needs to fix him as soon as possible. Past experiences have taught these people to handle stress differently. So which one of these people handles stress the right way? Mr. Woman, Stop Smothering Me or Ms. Why Won’t You Let Me Help You? As long as it’s healthy and it isn’t hurting anyone, there is no wrong way to handle stress. Are you looking for ways to combat stress in your life? Psychic Bridget ext. 5249 can give you the healthy tools you need. But how do we make the issue go away? The man in this relationship would claim that his woman has the issue because he feels smothered. She is bombarding him with questions and is obsessively trying to fix whatever is wrong right away. She won’t even give him time to process how he feels. He can’t sit with his feelings for 10 measly minutes before she is crawling all over him trying to get him to share his feelings. Conversely, the woman would say that her man is the one with the real issue. Whenever he has a problem, he refuses to confide in her. He shuts down, gets moody, and snaps at her for just trying to help him. She doesn’t deserve to be treated this way, especially when she is just trying to be a good partner. Having trouble being a good partner? Psychic Bridget ext. 5249 can help you remove what’s blocking you. Well, being a good partner is exactly the solution Psychic Bridget proposes. In fact, it’s like watching a television cop drama. “A relationship is really working when it is like a TV cop show where the couple is the two detectives who watch the suspects through the two-way mirror. They work and talk together to figure out how to handle the two crazy people on the other side of the mirror.” Wondering who the two crazy suspects on the other side of the mirror are? Look in the mirror! I’ll wait…. So what is Psychic Bridget saying? In order for your relationship to be successful and in order for you to work out your issues with your partner, you both need to recognize that you both are the detectives as well as the crazy suspects. You need to work together to fix your issues if you want your relationship to last. According to Psychic Bridget, “The problem is that people think about what they need to do as individuals, not as a couple. 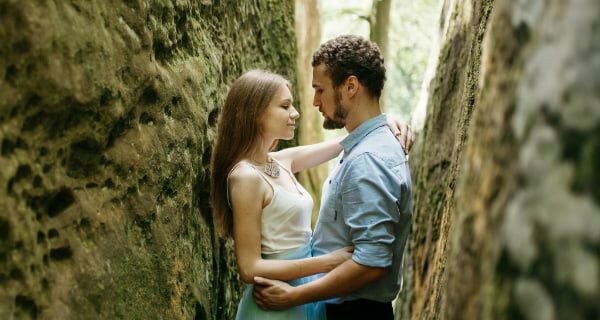 They need to get to a point where the communication is happening together.” If you find yourself always being the detective while your partner is the crazy suspect, or if you find your partner is always treating you as the crazy suspect, something needs to change if you want the love to last. Case closed. Need help working out some relationship issues? Talk to a psychic and get the tools you need. Call 1.800.573.4830 or choose your psychic now. Delightful article, Dania! Love your thoughts here Bridget. Take care dear Aries Psychic Sister!